Tourist-Channel Slovakia - Nová Bošáca Tourist-Channel Slovakia: New homepage! 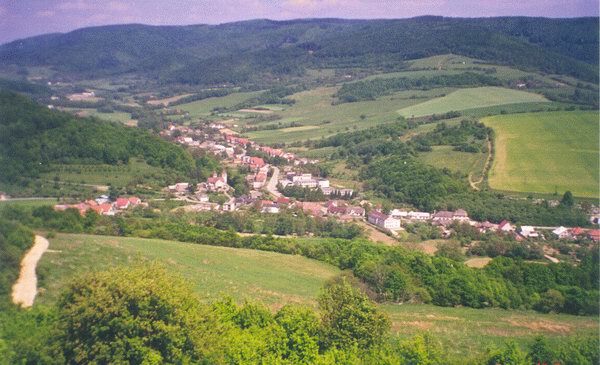 About 20km in the direction of Nové Mesto, under the third highest peak of the White Carpathians – Veľký Lopeník is situated village Nová Bošáca. At this place the Bošácka valley is divided in two parts – the northern and western parts. End of the Bošácka valley forms a very interesting land with some typical settlements and hamlets 34km2 in area. Nová Bošáca was founded in the year 1950 after detaching 23 settlements from Bošáca. Coat-of-arms of village represents a plum-tree in a white field with initials of Cyril and Method whom is consecrated a local church to. Village is situated in the protected landscape area The White Carpathians, absolute altitude 306m, 1300 inhabitants. Močariny – is a worth refuge for fauna mainly for shellfish. Occurence of species of mammals like voles and neomys anomalus. Grúň – meadows with plants of orchidaceae family. Also natural formations Lopeníček and Blažejová. Bescinné – area with occurence of iris. Territory of village is rich in mixed forests (occurence of edible mushrooms). Veľký Lopeník (912m) – a big occurence of snowdrops. In the area of village there are many springs of mineral water (acidulous waters): Španie, U Obchodnických, Predpoloma, Šance.